The map below shows the locations of all the artworks. There is marked out a beautiful walk that connects all locations . Note that this walk is 12 km long. Using the card you can mark out alternative, shorter walks and bike rides. Bicycles can be rented if necessary - by appointment - via CC De Steenoven in Herzele. More info at this link. The brochure and more info about ARPIA and the artists can be downloaded here. 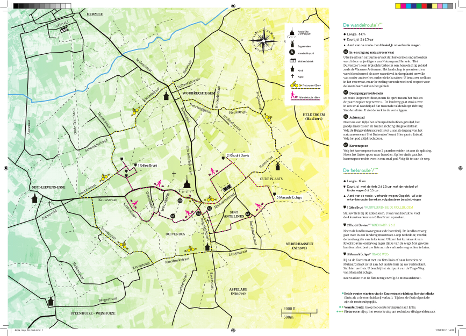 Download the walk and bike map (pdf).